El agua es la vida. Water is life. It’s a universal concept, but in a dry mountain region like Northern New Mexico the words ring especially true. 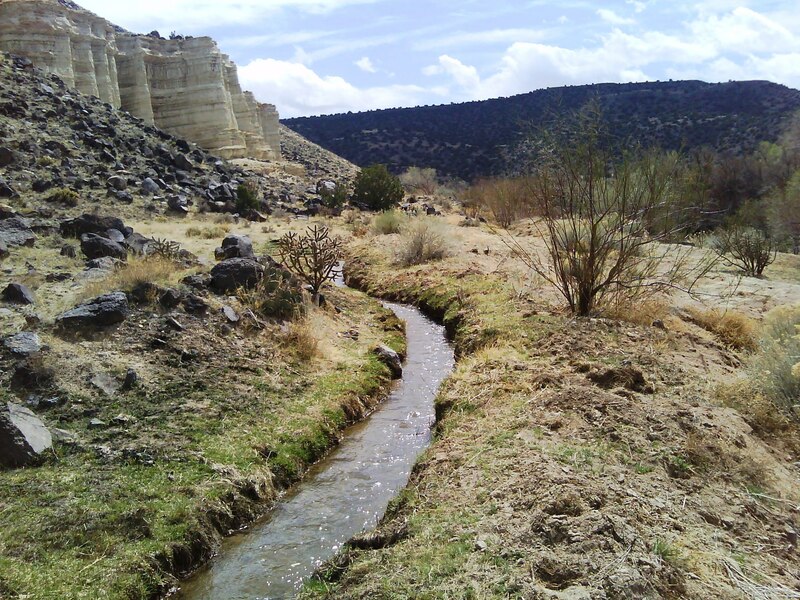 New Mexico has the longest continuously traceable history of human water use in the country. The tradition of acequias (UH-SAY-KEY-UHS), or shared irrigation canals, is directly linked to that history. Western Life Camp sits next to the Gallinas River, a mountain stream tributary to the Pecos River. We and our downstream neighbors share water and honor the acequia tradition. An ancient Anasazi irrigation system? 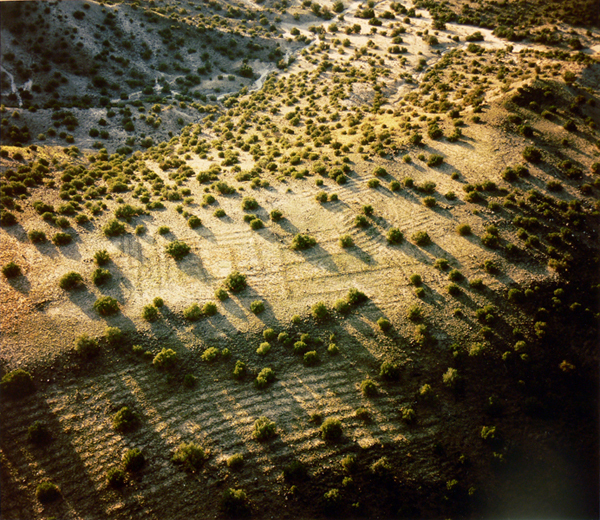 Acequias are a common thread that spans centuries of New Mexico history. The indigenous tribes of the area were the first to use gravity-powered ditches for agriculture. As early as 1400 AD the Pueblo Indians had created complex systems of irrigation lines fed from the area’s rivers and tributaries to grow corn, beans and squash. With the Spanish colonization of the area in the 1600s the term “acequia” as shared watercourse began to be used. The Spaniards noted the similarities to the native watering systems to those brought to Spain during the Moorish occupation. The word acequia is of Arabic origin. In Classic Arabic “as-sāqiya” was a double entendre of “water conduit” and “one who bears water” or “barmaid”. 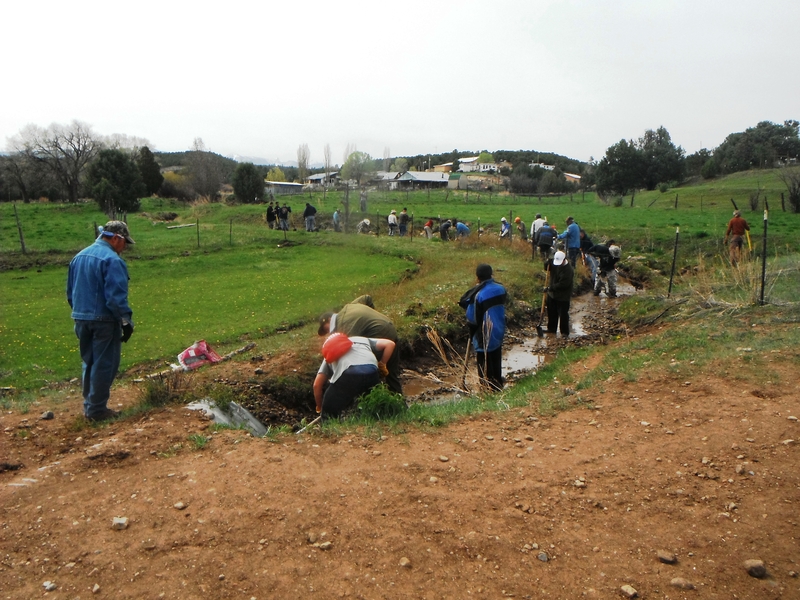 Today, acequias continue as community-operated irrigation ditches vital to Northern New Mexico. Acequias are recognized as governmental units under New Mexico law. The hierarchy goes something like this: State, County, City, Town, Acequia. 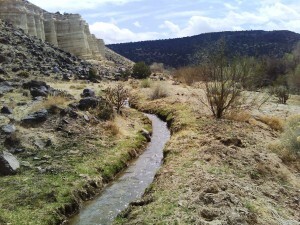 Individual acequia associations band together under the state-wide New Mexico Acequia Association. A crucial function of each individual association is the annual spring cleaning. In a cooperative effort orchestrated by a supervising mayordomo, the individual members, or parcientes, manually clean out the entire ditch of leaves, debris and anything else that accumulated inside the ditch over the Winter months. When the spring rains and mountain runoff begin, the parcientes enjoy the benefit of their labor as water flows smoothly along the acequia, bringing life to their fields and crops. Whereas acequias have a long tradition as cooperative community efforts to manage and share water, there are competing interests. Today, municipalities compete with acequias for water usage and rights, often disproportionally due to golf courses, large lawns, hotel and motel use. Mining and Fracking also compete for the limited amounts of water available. As you can imagine, with the money and man power available to cities and the mining industries, it is often a David vs. Goliath struggle. Support your local acequia by helping raise awareness of this issue and getting involved. You can share this article with others and consider donating to defense funds to help small communities in their struggle against larger municipalities.